We engage Western North Carolina in creative community based design to promote healthy, thriving and equitable communities. ADC is an independent, nonprofit agency founded in 2006 on the belief that everyone deserves good design. Planning builds community, and design shapes our lives every day—yet few of us have easy access to an architect, engineer, landscape architect or planner. ADC recruits volunteer professionals to work with communities to develop design solutions that enhance our quality of life. to promote healthy, thriving and equitable communities. We only work in communities where we have been invited. We bring a multi-disciplinary team of volunteer designers to every project. We use a community-driven design process–our volunteers use your ideas to create better design solutions. Carrie is the owner of Carrie Turner Photography, serving as a freelance photographer and visual storyteller for a wide variety of clients, including private sector commercial clients, non-profits, planning firms, food and beverage companies, educational institutions, and individual private clients. Publications include local, regional, and national magazines and blogs. Carrie is also a planner and facilitator with Chipley Consulting, serving as project team member on select local government planning and transportation projects with a focus on public involvement. Prior to owning her own business, Carrie worked for 10 years in local government planning and non-profit advocacy, first at Land-of-Sky Regional Council in Asheville and then nationwide for the Safe Routes to School National Partnership. Her project experience includes rural and urban transportation planning, regional sustainable development planning, and complete streets advocacy. Carrie is a graduate of Ohio University in Athens, Ohio and holds an MA in Geography, a BS in Biology, and a BS in Visual Communication/Photojournalism. She lives in West Asheville with her husband, Brian, and two children, Isadora and Oscar. Other interests include cooking, biking, hiking with the family dog, and supporting local music. Mike is an urban planner, creative placemaker and arts entrepreneur who hails from the San Francisco Bay Area. He is passionate about cultivating robust, creative economies, communities, and arts-based developments. Mike is a glass artist who’s design sense is informed by the natural and built environment. Mike is currently pursuing graduate studies in Creative Placemaking from The Ohio State University, Columbus. He holds a Bachelor’s Degree in City & Regional Planning from Cal Poly, San Luis Obispo and is the 2007 recipient of the American Planning Association’s National Planning Leadership Award for a Student Planner. Prior to his consulting career, Mike managed local government partnerships for Renewable Funding, LLC, a start-up renewable energy finance company focused on developing and delivering Property Assessed Clean Energy (“PACE Bonds”) programs. 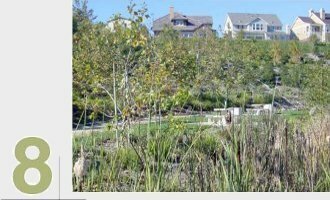 He has also worked in the public sector as a city planner and sustainability coordinator for the City of Benicia, California. 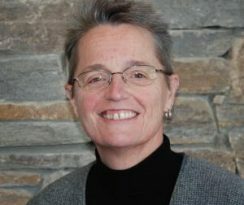 A native of the Asheville area, Leah began her career as an accountant with a local management consulting firm in 1996. She then gained extensive experience in the fields of manufacturing, cost accounting, and public accounting working as Senior Auditor for two prominent local firms. Leah earned a Bachelor’s degree from the University of North Carolina at Asheville. She continued her academic pursuits and earned a Master’s degree in Accounting from Western Carolina University. Leah became a Certified Public Accountant and Certified Information Technology Professional in 2005. Leah is in a number of professional organizations including a member of the North Carolina Association of Certified Public Accountants, a member of the American Institute of Certified Public Accountants, and a member of the American Women’s Society of Certified Public Accountants. Leah provides independent financial analysis in addition to tax and accounting services as well as information technology/accounting integration services. Cate is a creative changemaker, urban planner and consultant. Currently, she works with a diverse array of public and private sector clients to create community, whether that be implementing the next great piece of public art in a downtown, building a communications strategy for a new business, or writing a grant to launch a new program for a nonprofit. Her past experience includes leading a dynamic downtown revitalization nonprofit engaged in marketing, branding and events designed to bring creative projects, new businesses & residents to the Upstate of SC, 5 years as the youngest member of City Council in Spartanburg, SC, and managing communications and outreach for a private foundation. 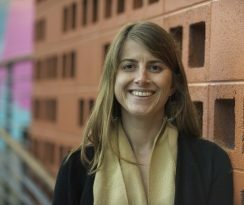 Cate holds a BA from Wellesley College and a Masters of City and Regional Planning and a Certificate of Urban Design from the University of Pennsylvania. Luly is partner at Alembic Studio, LLC. based in Asheville, NC. Her Alembic team’s creative design process aims at responsibly distilling solutions, which integrate throughout ecological, economical and sociological concerns. Removing redundancies and making way for holistic residential and commercial designs while facing the sustainability challenges the building industry desperately needs to overcome. As an architect in training, Luly focuses on cohesive reflections of a client’s lifestyle needs, tastes and aesthetics while preserving the natural beauty that each site holds. 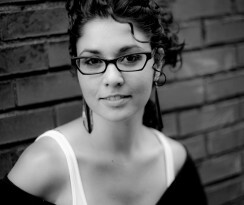 In 2009, after graduating from Florida Atlantic University’s School of Architecture, Luly moved to Asheville, NC. As a registered LEED AP, Luly served as LEED Team Leader on the Nauhaus Prototype — the first of many hemp structures Alembic Studio has designed. Concentrating on the intersection and enhancement of public and private space in an urban environment, Luly expanded her studies abroad at the Instituto Europeo di Design in Barcelona, Spain. Her passions for design found an outlet within the urban realm inspiring her to found O.P.E.N. (Outreach Projects Enhance Neighborhoods) for designers, artists & the community at large. Aspiring to promote public spaces as a medium for shared experiences, she launched Asheville’s first Parklet on Lexington Avenue in 2012. 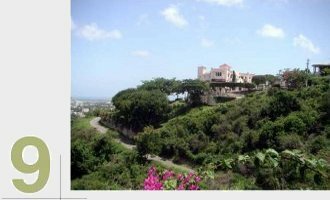 Luly’s Cuban heritage instilled family and closeknit values as the touchstones of any community. 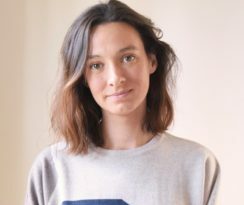 As an aspiring architect, environmental designer and urbanist, Luly’s personable, positive, lively attitude towards sustainable change inspires those around her to be a part of the movement. 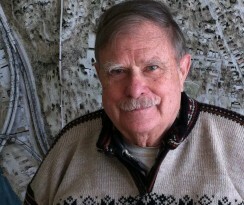 David is Professor Emeritus of Planning at the University of Tennessee, Knoxville, where he served for 17 years. David received bachelors and masters degrees in architecture and city planning from Yale University and a PhD in regional planning from Cornell University. He served on the staffs of the Boston Redevelopment Authority, the Washington National Capital Planning Commission and the Regional Plan Association of New York. He was a Fulbright Scholar in India, Thailand, the Soviet Union, and Cyprus. In 1987-88 he served as President of the US Fulbright Association. In 1988 David was elected a Fellow of the American Institute of Certified Planners. He is the author of numerous articles as well as books on the planning of the New York metropolitan region and the development program of the Tennessee Valley Authority. 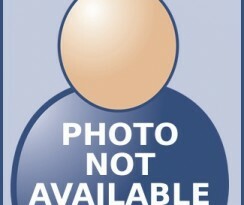 He is married to Eleanor Stephens Johnson. They have three daughters and reside in Asheville, North Carolina where they are active in civic affairs. Joel is a registered Landscape Architect and Principle/Owner of Osgood Landscape Architecture, Inc., a land planning and design firm in Asheville that he founded on the principles of placemaking and his dedication to providing provocative, authentic, and artistic landscapes that go beyond the ordinary and strive for the extraordinary. 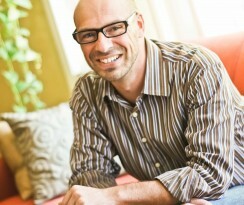 Prior to starting his own practice, Joel worked at Beau Welling Design, a leading land planning and golf course design firm where he gained extensive experience managing the process of analysis, design and implementation on a vast array of resort, residential, and mixed-use projects around the world. With a passion for inclusive design and ecological sensitivity, he is inspired by the mission of the Asheville Design Center, and has been very active in collaborating with the ADC at Hall Fletcher Elementary School since 2012. Joel earned his degree in Landscape Architecture from North Carolina State University where he graduated with honors as a class valedictorian and was awarded the Certificate of Honor from the American Society of Landscape Architects. He also volunteers for organizations including The Trust for Public Land, Habitat for Humanity and Asheville Humane Society. Joel is also an advocate for the acquisition of land devoted to active public use and the use of green design initiatives throughout the City of Asheville. Rebecca fell in love with Western North Carolina when she hiked the entire 2100+ miles of the Appalachian Trail for her 50th birthday. She currently serves as the Director of Evaluation & Learning at the NC Center for Health and Wellness, anchored at UNC Ashville. In this role Rebecca works with community partners across the state to develop equitable opportunities that lead to healthier communities. She is dedicated to helping organizations create a Culture of Results to tell their story so they can best obtain needed recognition & resources. Before coming to the Center in 2011, she served as Senior Advisor for Healthy Schools for the North Carolina Division of Public Health. Over the past 40 years, she has taught at both K-12 and university levels and held frontline positions in hospital-based worksite health promotion and in local & state public health agencies. Her work with communities has been recognized with state and national public health awards. 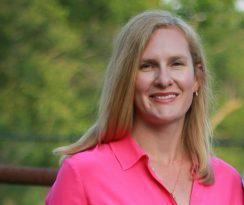 Rebecca currently serves as a nationally elected member of the Society for Public Health Education, Board of Trustees Executive Committee and as an Advisory Board member for the Blue Ridge Parkway Foundation. Frank is a structural engineer with Medlock & Associates Engineering in Asheville. Board members serve a term of three years. Board members may serve two consecutive terms before cycling off. Building on 20 years of nonprofit experience, Chris has served as the Asheville Design Center’s Executive Director since 2009. Chris is an attorney with degrees from the University of Connecticut School of Law and Yale University. Chris lives in West Asheville with his wife Nicole and their dog, The Dude. 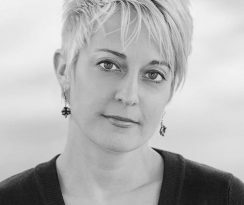 Liz Lawrence is a registered architect, fabricator, design/build instructor and chronicler of the human experience who enjoys the creative process and sharing in these endeavors with others. Her love of all things built began at an early age and has continued to grow in tandem with her desire to connect people through community based activities. She is a great supporter of tactile learning and encourages students interested in design to just get out there and try building! Liz is an advocate for young women interested in architecture, construction and other related building trades and seeks to assist them on their journeys of creative discovery through education and mentoring. Currently, she serves as principle architect for Milkhouse Design Studio and Workshop, a venture that germinated from lessons learned while working on the family’s fifth generation dairy farm one summer in the rural Northeast. The thought grew into a quest for understanding the process of building through a holistic pursuit of design ability meshed with skills obtained from working alongside of master crafts-persons. The concept is rooted in the notion that architecture should not be separated into the current, stringent categories of Architect and Builder, but should allow for the two professions to work together in tandem, learning and growing from one another through direct participation. Before establishing Milkhouse, Liz acquired over ten years of architectural experience in several award winning firms, grounding her work in a wide technical background. She has pursued design/build education at home and abroad by teaching timber frame construction in north London at the Burlington Danes Academy and as a fabricator on the Canningtown Caravanserai in east London. At home, she is currently engaged as an exhibit designer and fabricator at the Hagley gunpowder and industrial history museum and serves as a supporting member of the museum’s “Maker Space” task force. Liz is a registered architect in the Commonwealth of Pennsylvania, holds a M.Arch from the Architectural Association School of Architecture in London, UK focusing on Design/ Build strategies and a B.Arch from Roger Williams University in Bristol, RI. Her love of travel, motorcycles, vintage Americana and eccentric encounters always make for entertaining stories and a few laughs. Luke W. Perry serves as lead instructor for ADC's Summer DesignBuild Studio. Luke has pursued his passion and love of the built environment through creative collaborations, exploring how the simultaneous act of designing + building can increase the capacities of vulnerable places and people to better solve their own problems. Luke’s professional background has focused on the relationship between architecture, substandard housing, and community engagement. More specifically Luke has worked in addressing homelessness through public advocacy as well as shelter/transitional housing design, working at the National Coalition for the Homeless and Metro Atlanta Task Force for the Homeless. He has worked construction building affordable housing in Washington, DC and researched low-cost housing options around the world as a UC Berkeley Branner Fellow. 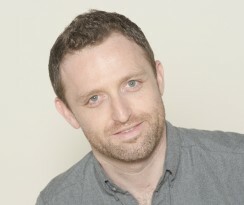 Luke’s background in construction and design has allowed him to pursue numerous design-build projects. In 2003, he designed and built a private residence near Boone, NC. In 2006, he led a team to design and build 40 new sleeping compartments for Atlanta’s largest homeless shelter. In 2009, he helped design and build a new bench for a garden in Berkeley, California. In 2010, he designed and built numerous structures for the Pie Lab in Greensboro, AL. Finally, since living in Asheville, Luke has led a number of innovative projects such as the Mystic Dreams Pavilion, the Evergreen Community Charter School Outdoor Classroom, and Randolph Learning School Garden Shed. He received undergraduate degrees in both Architecture and Industrial Design from NC State University in 2000 and received his Masters of Architecture from the University of California, Berkeley in 2009. During his time at Berkeley, he taught two undergraduate studios under mentorship of Randy Hester and Keith Plymale. In 2010-11, Luke served as an adjunct professor at Appalachian State University teaching classes in design, drawing, computer modeling and construction. As a native of the North Carolina mountains, Luke cherishes the natural beauty and opportunities the southern Appalachians provide. He is a passionate soccer fan and plays a mean game of table tennis. Miriam Gee is a licensed architect, aspiring builder, design/build instructor, and green building consultant. For Miriam, there is no greater satisfaction than building your design with your own two hands. After spending more than six years of traditional employment with award-winning architecture firms in the Pacific Northwest and Hawai'i, Miriam has adapted her career to focus on education through design/build. In 2010, Miriam co-founded Build Lightly Studio, realizing her dream of teaching the next generation of collaborative thinkers through design/build. The result: a hybrid designer/builder/instructor role that extends beyond the years of licensed design work to the actual project construction; that is: the hammer swinging, the power tool-wielding, the early morning team meetings fueled by adrenaline (and, more often than not, too much coffee). Today, Miriam has tailored this concept into a formal profession that combines continued experience as a freelance designer and green building consultant with teaching student-led design/build courses and workshops in the U.S. and internationally. In this unique arrangement, teaching informs professional practice, and vice-versa. Miriam's definitive architectural career is inspired by students, yet grounded in real-world design challenges. A competent project architect with an interest in environmental design, she excels in collaboration, project management, and community engagement. To date, Miriam's experience as an educator through Build Lightly Studio includes: Asheville Design Center, Yestermorrow Design/Build School, University of Washington Neighborhood Design/Build Studio, and the University of Hawai'i at Manoa, archawai'i program. She graduated in 2006 from Cal Poly San Luis Obispo with a Bachelor of Architecture and a minor in French. 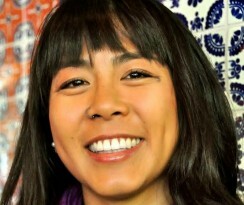 She received her architecture license in 2010 in Washington state and Hawai'i. Laura Evans is a project manager for ADC, coordinating with clients, contractors, and city agencies to construct the designs we help to create. 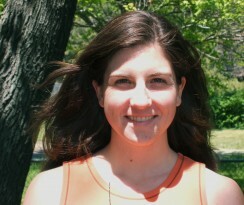 After studying landscape architecture at the University of Georgia, Laura moved to Brooklyn, NY where she worked in the internal design office at Prospect Park for six years. 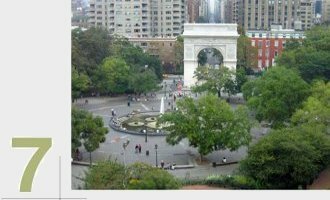 Her work at Prospect Park included orchestrating and participating in a community-driven design and construction supervision for public playgrounds, habitat rehabilitation, and historic restoration projects. Laura moved to Asheville in the summer of 2013 and began volunteering for Asheville Design Center before coming on as a project manager. In addition to her work in project management and landscape design for ADC, Laura runs the textile design company, OUTRA. Meg is an urban planner with professional experience in providing support to local, independent entrepreneurs, developing local, vibrant economies, and building local food systems. Her work in the local food movement includes work on an off-the- grid farm in northern Arizona, coordinating the City of Austin’s Urban Agriculture and Community Gardens program, and assisting with food hub feasibility studies nationwide. She has also developed technical tools to level the playing field for local producers in the wider market. Meg has also worked in economic development coordinating small town revitalization programs with HandMade in America and directly with entrepreneurs at North Carolina's Small Business and Technology Development Center. From 2013 – 2015, Meg spent two years heading up the northern Arizona office of Local First Arizona, the largest local business coalition in the country and one of the most effective. Today, Meg works as a planner and project manager with Asheville Design Center, as a network coordinator with sustainability professionals around the nation with Ullman Consulting and on local food systems planning projects with SCALE, Inc. Meg also serves on the Asheville Grown Business Alliance steering committee and on the development committee for Asheville on Bikes. Abigail Emison has an extensive background in urban and economic development planning, specifically focusing on brownfield redevelopment and downtown revitalization. Ms. Emison has worked with a variety of public, non-profit and private entities to facilitate the redevelopment of contaminated properties. She has administered numerous state and federal brownfield assessment and revolving loan fund grants and provided guidance to other grant recipients. In addition, she has managed brownfield real estate transactions and developed numerous strategic economic development and reuse plans for various municipalities. Ms. Emison serves as a planner, economic analyst, and project manager deploying a variety of quantitative and qualitative tools to guide redevelopment and planning of sites across the country. Ms. Emison has a Bachelor's in Economics and Political Science from Wellesley College and a Master's in City Planning from the Massachusetts Institute of Technology. While at MIT, Ms. Emison received the American Institute of Certified Planners Student Project Award for the application of the planning process. Emily is an interior designer managing projects for ADC. Tom is a consultant in heritage development and community revitalization, primarily focusing on downtowns and inner-city neighborhoods. He has been team captain and team member in heritage and community development initiatives from Massachusetts to California—and many points in between. Tom has worked with community groups, public agencies and preservationists in Connecticut, Ontario, New Jersey, New York, North and South Carolina, Quebec, Texas and Wyoming. Locally, he was local team captain for the 2009 Asheville Downtown Master Plan and he led another team in completing the master plan for City-owned land in the River Arts District. 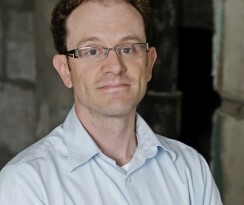 Tom holds urban planning and architectural degrees from Harvard University and Washington University in St. Louis. He is a charter member of the American Institute of Certified Planners and a member of the Canadian Institute of Planners. He has lived in Asheville for 17 years and is a resident of West Asheville. In early 2006, the AIA Asheville section applied for an American Institute of Architects “Blueprint for America – AIA 150” project grant. 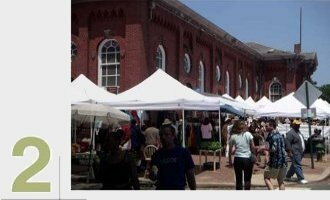 In June 2006, we were awarded $15,000 from AIA for our “Bridging the French Broad: Creating Connected Livable Communities” project. 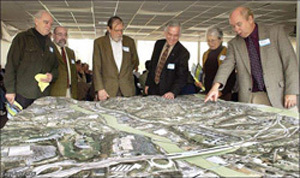 The goal of this project was to engage the community in discussions as to how the Blueprint’s “Ten Principles for Livable Communities” and the community’s design goals could be implemented in the design of the I-26 connector through Asheville. We secured a storefront in downtown Asheville to house meeting, work, and exhibit space. 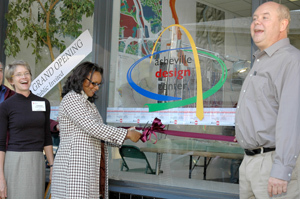 ADC’s grand opening took place on September 29, 2006, with ribbon-cutting by Asheville’s Mayor Terry Bellamy. We have been studying the four NCDoT proposed alternative designs since they were made available in October 2006. We have reached reached consensus on a modification to one of these alternatives. At the same time, this could create exciting opportunities for sustainable growth and increased “livability” along the riverfront and neighborhoods near downtown Asheville; it also creates the possibility for a new signature bridge over the French Broad River. Since ADC was created with the I-26 project and AIA funding, we have been incorporated as an independent 501c3 non-profit organization and have pursued a variety of new projects with the support of a variety of community sources. As ADC grows, we continue to provide design expertise and a venue where people can come together to promote livable communities in Asheville and throughout WNC. Compact, pedestrian-friendly communities allow residents to walk to shops, services, cultural resources, and jobs and can reduce traffic congestion and benefit people's health. Design on a Human ScaleCompact, pedestrian-friendly communities allow residents to walk to shops, services, cultural resources, and jobs and can reduce traffic congestion and benefit people's health. People want variety in housing, shopping, recreation, transportation, and employment. 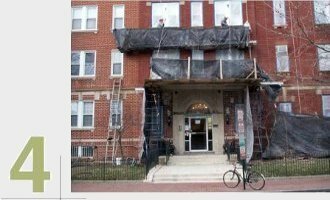 Variety creates lively neighborhoods and accommodates residents in different stages of their lives. 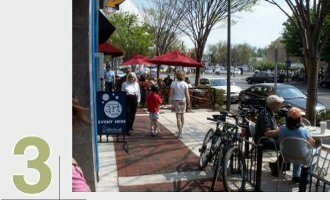 Integrating different land uses and varied building types creates vibrant, pedestrian-friendly, and diverse communities. Restoring, revitalizing, and infilling urban centers takes advantage of existing streets, services and buildings and avoids the need for new infrastructure. This helps to curb sprawl and promote stability for city neighborhoods. 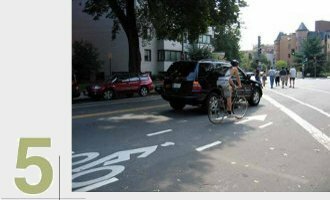 Giving people the option of walking, biking, and using public transit - in addition to driving - reduces traffic congestion, protects the environment, and encourages physical activity. 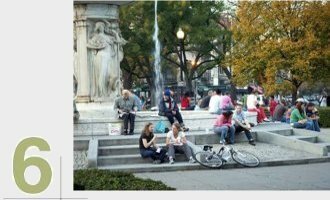 Citizens need welcoming, well-defined public places to stimulate face-to-face interaction, collectively celebrate and mourn, encourage civic participation, admire public art, and gather for public events. 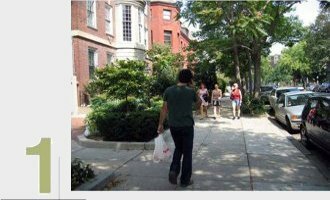 A "sense of place" gives neighborhoods a unique character, enhances the walking environment, and creates pride in the community. A well-designed balance of nature and development preserves natural systems, protects waterways from pollution, reduces air pollution, and protects property values. Open space, farms, and wildlife habitat are essential for environmental, recreational, and cultural reasons. Design excellence is the foundation of successful and healthy communities. The Blueprint for America is a nationwide initiative through which AIA architects engage with fellow citizens, mayors, other professionals, and local government officials to collaborate on a community service program that addresses a community’s distinct need. 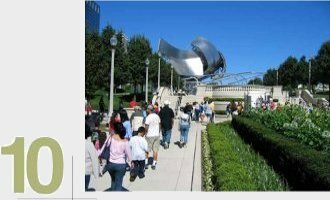 In 2006, state and local AIA components will propose, convene, and participate in initiatives that utilize community engagement, in a collaborative process, and quality design as keys to improving a community’s livability. These initiatives were developed in 2007, AIA’s anniversary year. In 2008, the AIA national component will compile initiatives and release the national Blueprint for America. Blueprint initiatives are a gift to the community from the members of AIA, and the members’ participation in the initiative is provided at no fee.